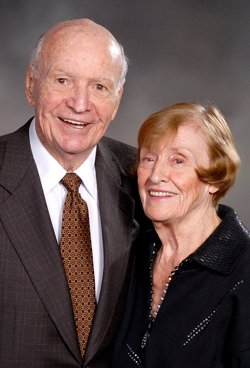 The Terry Foundation was established in 1986 by Houstonians Howard Terry (1916-2012) and Nancy Terry (1927-2012) out of a desire to help young people to help themselves. The Foundation’s goal is to strengthen the state of Texas by identifying Texas high school graduates and transfer students who have promise of future leadership distinction and assisting them in developing their future and the futures of those around them. In the fall of 2014, Sam Houston State University welcomed its first class of Terry Scholars, a group of freshmen students who have demonstrated promise as future leaders of the state of Texas and the nation. Selection as a Terry Scholar includes a generous scholarship award that covers six to eight full semesters of tuition, books, and expected on-campus living expenses at SHSU. Terry Scholars also benefit from specialized mentoring, as well as outstanding opportunities for personal and professional development through service activities. Terry Scholar candidates are recommended to the Foundation by SHSU and must attend a personal interview with the Terry Foundation Scholarship Selection Committee. The Terry Foundation selects the scholarship recipients from among the candidates who are recommended for interview. Be a citizen or permanent resident of the U.S. Applicants must be a U.S. citizen or a Permanent Resident and meet Texas residency requirements. Candidates must also qualify for in-state tuition and for federal financial aid assistance. Must be admitted as a full-time Transfer student for the purpose of completing a first baccalaureate degree. Since 1986, the Terry Foundation has operated with the goal of helping young people to help themselves. Today, the lives of nearly 2,000 college alumni and nearly 1,000 current undergraduate students at universities across the state of Texas have been changed for the better by the Terry Foundation's unique combination of academic scholarship support and strong emphasis on personal guidance and mentoring. The Terry Foundation application for the 19-20 year is now available through Scholarship4Kats. Use the link on the left menu to access your application.